This is a genus of 20-ish mostly Palaearctic species that live on Rosaceae. I have avidly collected this genus for many years in an attempt to collect all possible species in North America. As a result, I have a lot of material of just a couple species, and a smattering of odds and ends that are not identifiable. During winter of 2018 I sat down and studied in more detail the material I’ve accumulated. 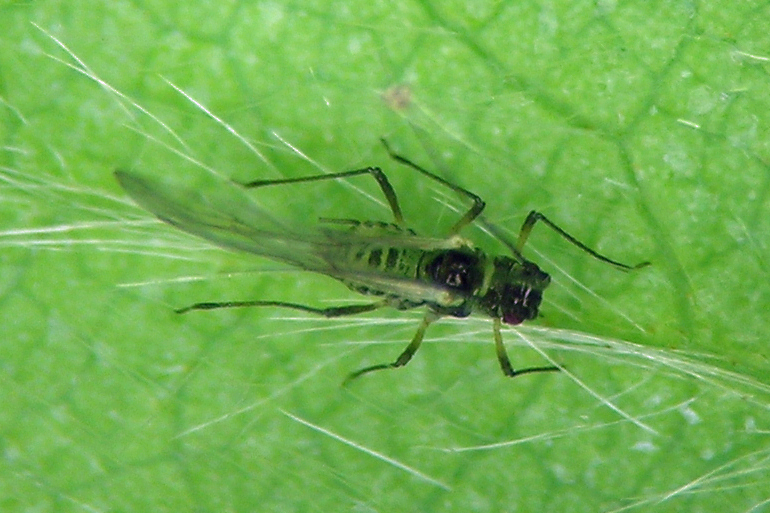 I was able to resolve a few oddball slides into species names, and studied in some detail the C. (P.) thomasi/fragaefolii situation. The latter study makes me think that maybe the reason I’ve never seen something distinct to call C. fragaefolii on Fragaria is that there is only one species and I file them all under C. thomasi. It’s also frustrating to find that certain features considered important by one author are apparently ignored or considered of zero interest by another. 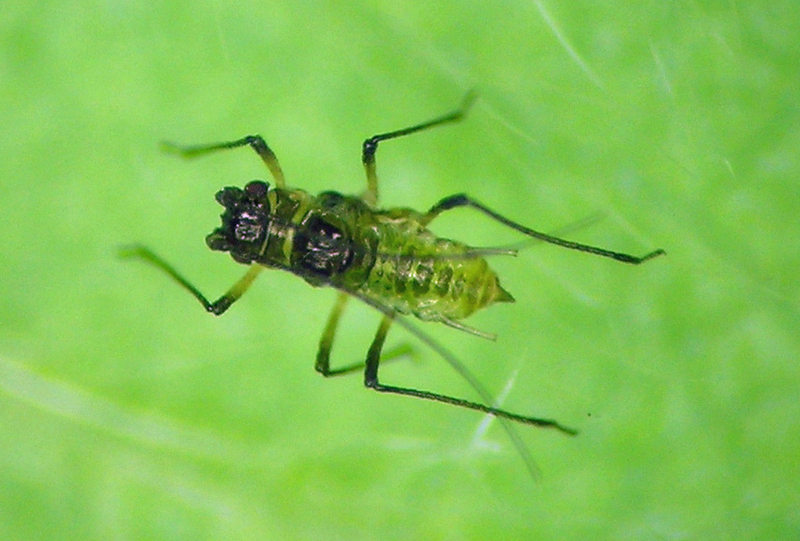 This species was described fairly recently in the scheme of things (1970) by a British guy, perhaps somewhat embarrassingly for the North American aphid experts at the time. Among the species I have seen it is fairly distinctive and lives on both Rosa and Potentilla. I have fundatrices from Rosa in Idaho, but have never seen sexuales. My samples are from British Columbia, Washington, Oregon, California, Idaho, and Colorado. Chaetosiphon (Pentatrichopus) hottesi fundatrix from our garden in southern Idaho. Blackman and Eastop note that this species might be more complex than it appears, which gets at the reason I have collected it so much over the years. 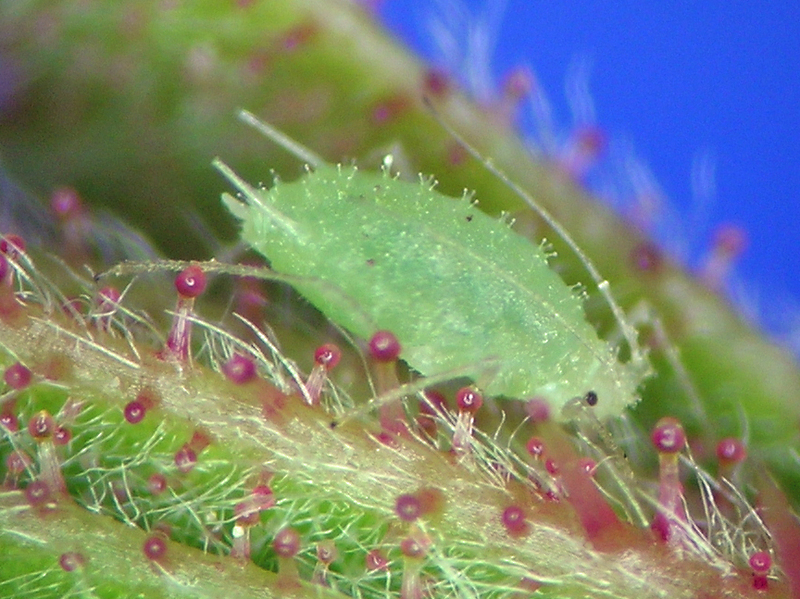 What keys to this species is extremely widespread in western North America on Rosa, Potentilla, and even Fragaria. I get it commonly on cultivated plants as well as uncommon and very specialized plant species in extreme environments such as dry low-lands and rocky mountain-tops. 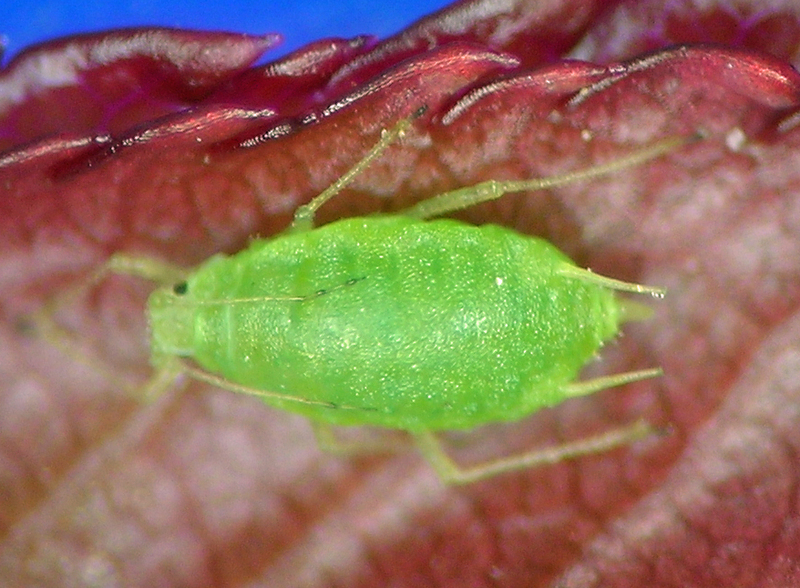 I have walked by it without collecting a sample on many unusual species of Potentilla in part because I cannot identify the plant to species, and so having the same aphid from yet another Potentilla sp. in an unusual situation is not that interesting. 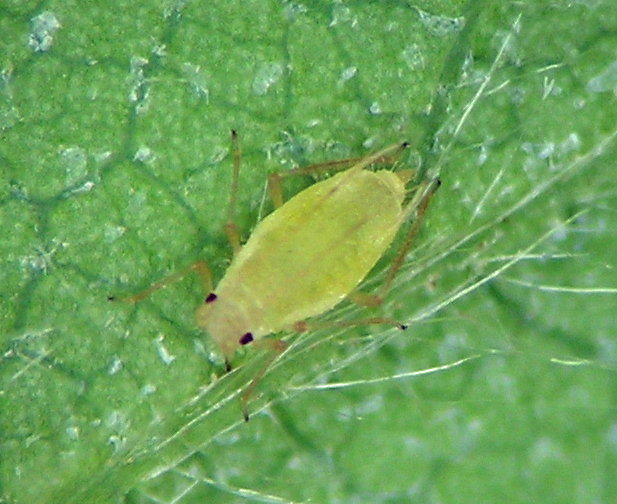 I think this aphid could eventually be found on most of the species of Potentilla in western U.S. I have samples from British Columbia, Washington, Oregon, California, Idaho, Utah, New Mexico, Arizona, Montana, New York, and New Brunswick. Chaetosiphon (Pentatrichopus) fragariae/thomasi apterous vivipara from rose in our Idaho garden. Chaetosiphon (Pentatrichopus) fragariae/thomasi ovipara from Fragaria in our Idaho garden. Chaetosiphon (Pentatrichopus) fragariae/thomasi alate male from Fragaria in our Idaho garden. Chaetosiphon (Pentatrichopus) fragariae/thomasi apterous male from Fragaria in our Idaho garden.